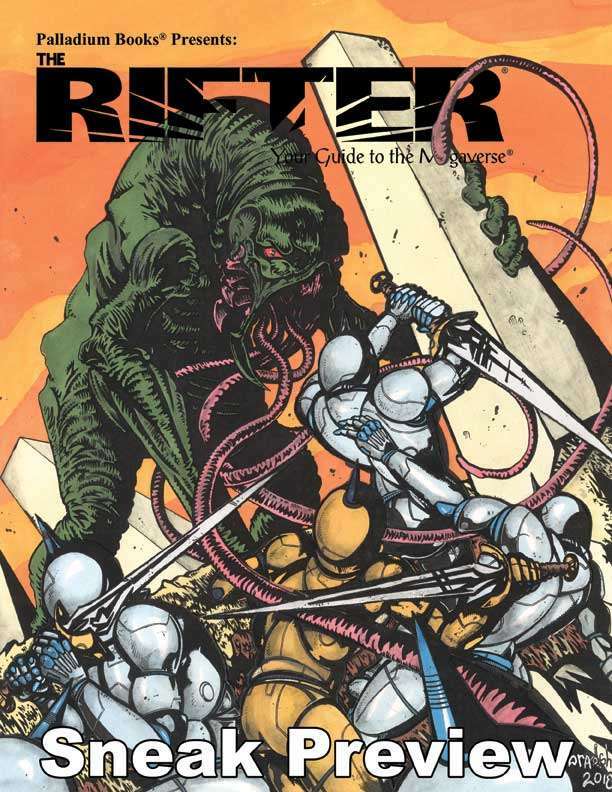 This is a sneak preview of The Rifter® #82. This sneak preview includes the front cover, credits, contents, From the Desk of Kevin Siembieda, Palladium News, Coming Attractions, an excerpt from Erick Wujcik, Remembered, an excerpt from The Impact of Age for Nightbane®, an excerpt from Hitting the Gym with the Physical Training Hero for Heroes Unlimited™, an excerpt from Chaos Earth Nebraska, Part Three, for Rifts® Chaos Earth®, and an excerpt from the Rifts® Bestiary Preview for Rifts®. The Rifter® #82 will be available around November 26, 2018. For more information, please visit our website.